Employees at the Zambia National Broadcasting Corporation (ZNBC) have not yet received their January Salaries. 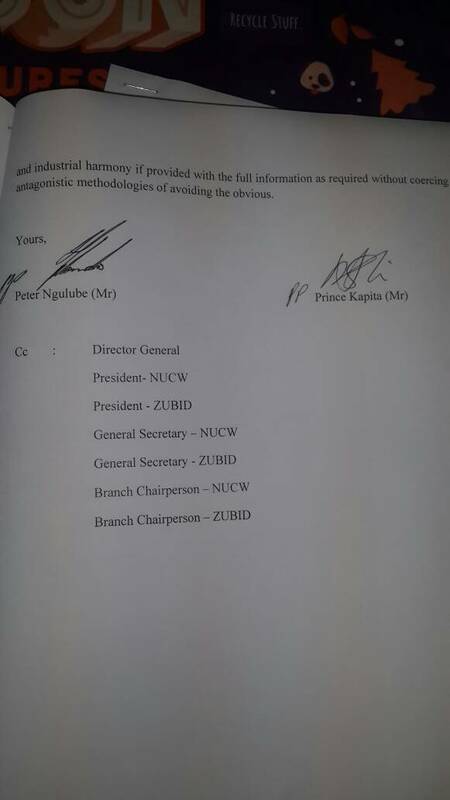 The salaries which were suppose to have been paid by 21st January have not yet been paid by ZNBC management . Sources at the national broadcasting who choose to remain unknown have expressed disappointment in the ZNBC management for failing to pay them their January allowances. 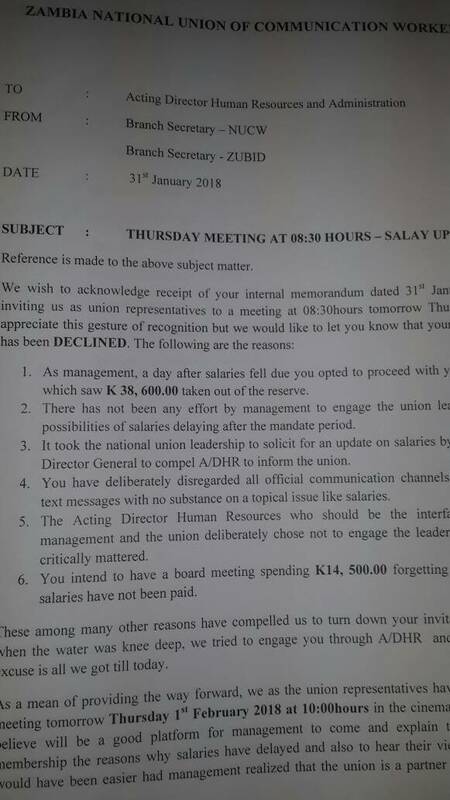 “We have not received our January salaries and today is 1st February, management has failed to pay us despite us working hard each day, they are failing to pay us but are able to have board meetings and draw allowances where are they getting the monies from to pay board members? And if you recall very well the latest auditor generals report shows that the current interim board at ZNBC is illegal so even the payment they are getting as allowances are illegal” the source said . ZNBC management has since invited the two UNIONS at the National broadcaster for a meeting today but the unions have declined to attend that meeting owing to some of the reasons stated in the memo, despite not paying Salaries to its workers, ZNBC management is today expected to pay over k14,500 in allowances to the interim board which is supposed to sit today. The workers at the national broadcaster have threatened to down tools if management does not settle their January salaries.